and leave a legacy of success. With over 50 years of combined leadership experience, Strong People Solutions is a collective of Human Resources and Operations professionals who are inspired by the passion, intelligence, and innovation of business owners and leaders. Our purpose is to enhance the lives of the people we work with. We uncover problems, propose solutions, and achieve results. the strength of people working together to achieve common goals. and collaborating to create amazing things with others. Driven by a love for people and a desire to see them succeed, Cindy Strong is the Founder and Principal of Strong People Solutions. Cindy firmly believes in the power of connection and facilitating environments where people can thrive. An enthusiastic learner, eternal optimist and self-described “people geek”, Cindy was a business owner before launching her career in Human Resources in 2006. After years of working as a corporate HR professional where she gained a strong understanding of effective HR management, she launched Strong People Solutions to make a bigger impact, working to align systems and culture to help organizations achieve their dreams. Cindy holds a Bachelor of Science in Management from LeTourneau University, has her Senior Professional in Human Resources certification (SPHR), is a SHRM Senior Certified Professional (SHRM-SCP), is a certified John Maxwell trainer, and serves on the board of AHRMA, Austin’s local SHRM chapter. In her free time, Cindy enjoys gathering with friends and family, spending time outdoors, and traveling at any opportunity. His role with Strong People Solutions involves soft skills coaching, leadership development, team building, production evaluation, and operations consulting. 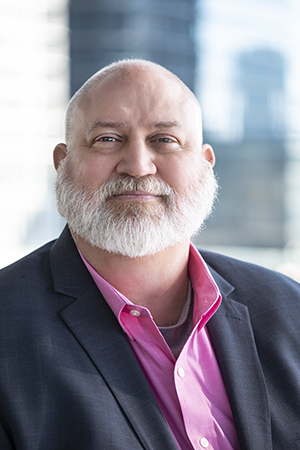 In addition to his work with Strong People Solutions, he also works for the Texas Board of Professional Engineers as the Director of Licensing, leading a team centered around positive process results. Rick holds a Bachelor of Science in Mining Engineering from Texas A&M University and is a Texas Licensed Professional Engineer. Desiree Bohls began her adventure in Human Resources after transitioning from a successful career in business development, building upon external relationships to become an internal brand ambassador as a recruiter. She then transitioned into Talent Management, overseeing tremendous organizational growth, fine-tuning the hiring process, and streamlining the new hire orientation process along with ongoing training needs. Her passion for people led her to roles in Employee Relations, Benefits Administration, Compliance, and Executive Support. Having never met a stranger, Desiree’s core purpose is to foster and grow relationships with the clients she serves. She lives in Pflugerville, TX with her family, and she loves spending her leisure time reading, cooking, or taking on the next DIY project. Desiree holds a Bachelor’s degree from Texas Wesleyan University and is a SHRM Certified Professional (SHRM-CP).